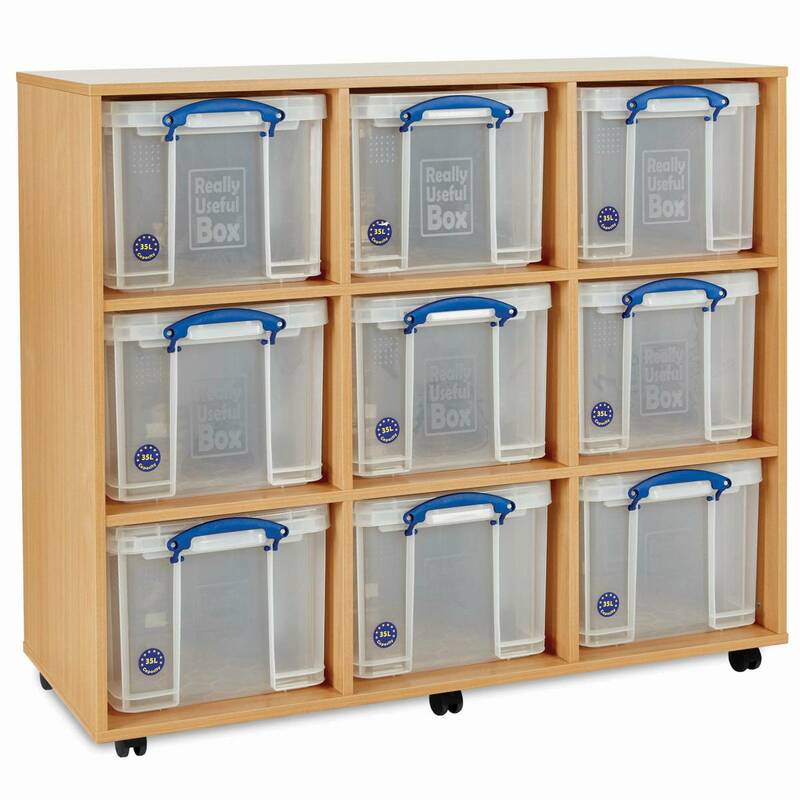 Unit finished in beech, with space for 9 x 35 litre boxes and lids. Unit finished in beech, with space for 9 x 35 litre boxes and lids. Boxes not supplied. Tray storage available in Beech. Delivered assembled, complete with castors.